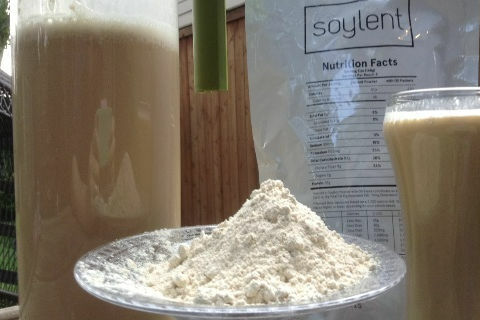 Read the first installment of The Soylent Diaries here, and the second here. I cheated. I walked past a tub of peanut butter and was ensnared by nutty tendrils of its aroma. Just one spoonful, but it was worth it. First glass, last of yesterday's batch. Seems somehow grittier. Not sure if that's just because it had been more than a few hours since my last glass. It feels like there's a certain amount of desensitization that occurs, like when you haven't played Grand Theft Auto in a while, and all of a sudden it feels weird to hijack a tank. 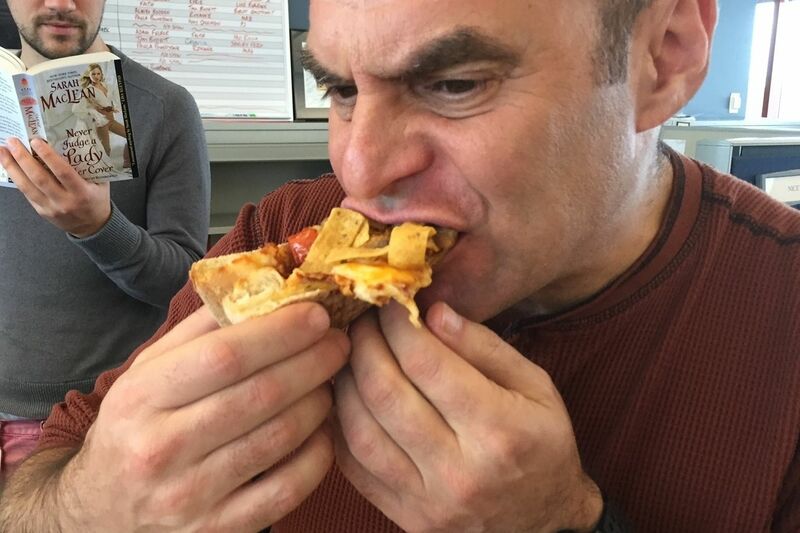 Coworkers are eating again. They know what I'm doing here, and yet they insist on sustaining their bodies in perfectly normal fashion without regard to my self-imposed food exile. Thanks a lot, Amber and Kenny. They drove me into the kitchen with their popcorn taunts. The aroma is intense. It's like someone removed all the nitrogen in the air and replaced it with 6-Acetyl-2,3,4,5-tetrahydropyridine. I bet walking into a Yankee Candle store would trigger a Grand Mal right now. 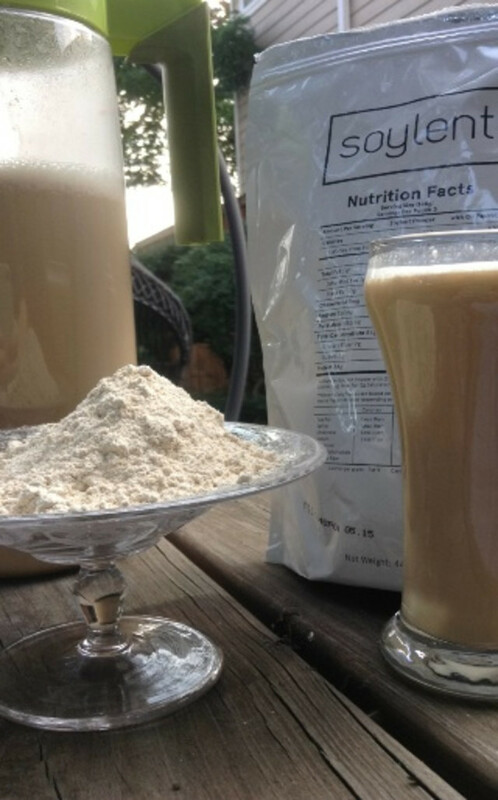 Just mixed some Soylent into a cup of coffee. It makes a surprisingly convincing stand-in for non dairy creamer. This is not an endorsement. My bowel movements seem to have gotten stuck in Pleasantville. With apologies to William H. Macy. Bizarre Foods is on. Lettuce soup in Wisconsin. Not sparking a craving. Observing almost clinically what might have been tough yesterday. Mixed up a pitcher at my desk. When I dumped in the powder, it sent a cloud of the stuff out into the air, like some weird aquatic spawning process. I like to think my coworkers are now breathing it, involuntarily being included in my little experiment. Instinctively reached for the pitcher, which has been sitting forlornly on my desk since I mixed it up, as it's been almost seven hours since I last "ate." Normally, I'd be borderline insane with hunger by now. It seems almost as if my body is reorganizing its metabolic processes. Perhaps the refined form in which I'm consuming "food" is resulting in increased efficiency? Could it be that I am approaching another plane of existence? I feel at peace with myself and the universe. I feel a great force welling up inside of me. Wait. Nope. Just the gas. Now I'm hungry. Left the pitcher at room temp and it looks like what happened when I left an open container of kibbles 'n' bits out in the rain. Frothy. Distressingly solid. Note to self: it's definitely better to drink Soylent as cold as possible. The deadening effect on the taste buds really helps to mask that cabbage egg roll flavor, which is back with a vengeance in this sad, tepid cup. Seriously. Room temp, it takes some doing to work through a glass. Check back tomorrow for Day Four of the end of food.